****Pick-up only**** Location: Hamilton Brisbane 4007. Limited delivery options available for a fee, contact us for a quote. 20 Succulents: $7.00 per unit. 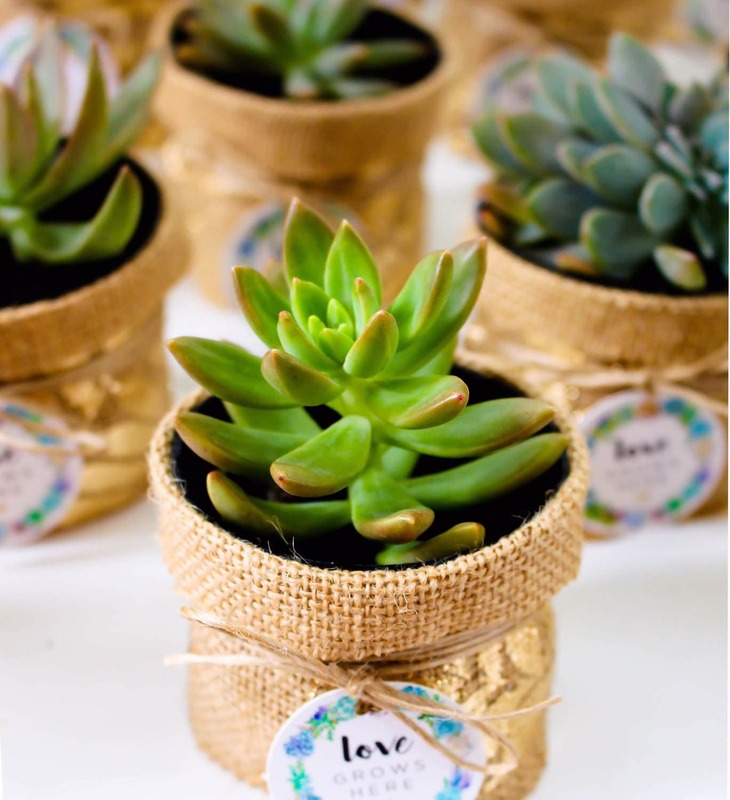 30 Succulents: $6.50 per unit. For customised orders please contact us. 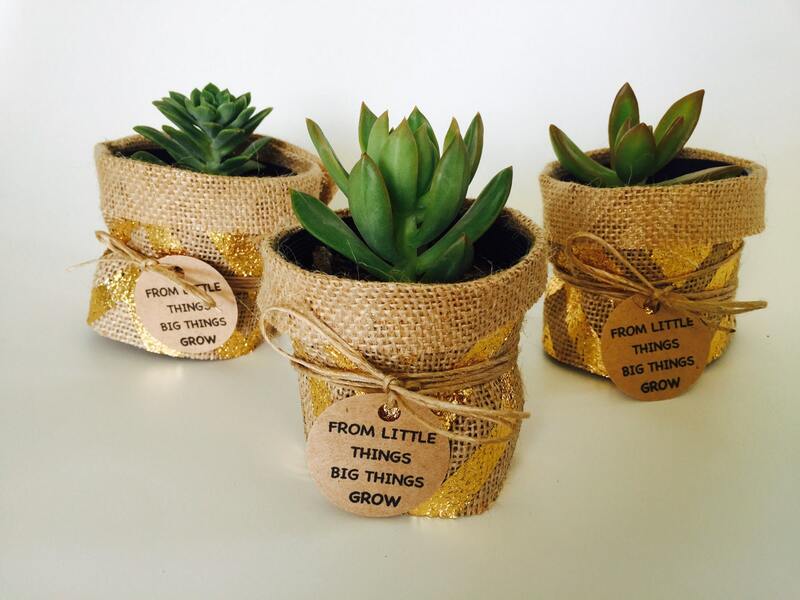 - Gold Stripe Printed Hessian: 6cm H x 6cm W.
- Plastic Growing Pot: 6cm H x 6cm W (hidden). - Labels: Professionally printed or basic personalised labels. Step 1: Find the style you are after. Step 2: Contact Us; we need to discuss your order first (pickup date, labels etc). Step 3: You will receive a confirmation email including payment options. - Pick up from Hamilton Brisbane 4007. - We can deliver for a fee depending on location and depending on availability. - We do not deliver to Sydney or Melbourne. 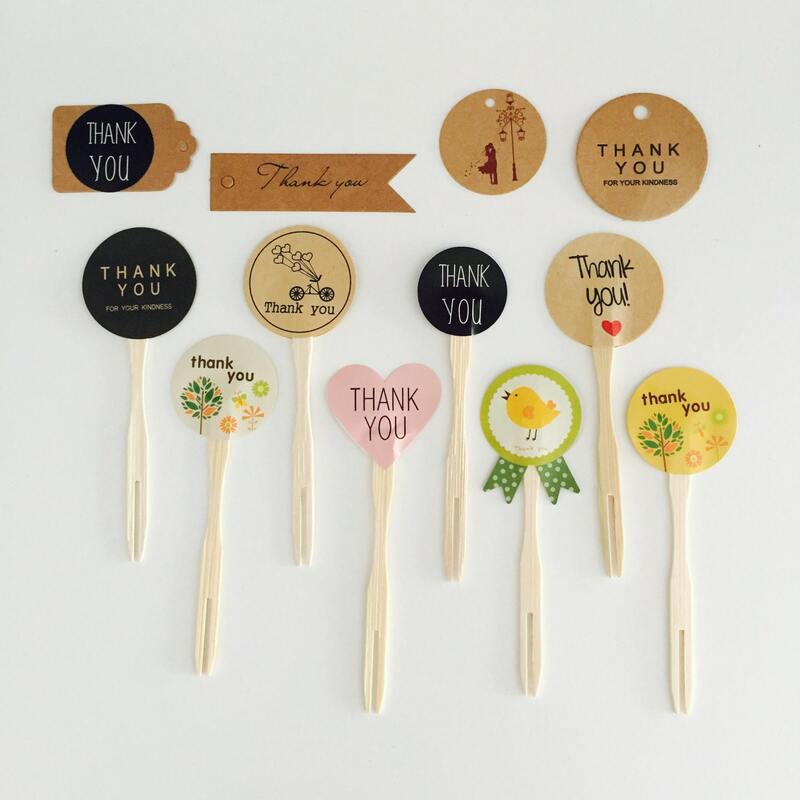 We appreciate 1 month notice however we can commit to orders in less time if we have the available stock. Water: 1-2 times per week. Allow soil to dry between watering. Sun: Succulents need plenty of sunlight however the harsh Queensland sun can sometimes burn the succulents (in the hotter months). To avoid this please do not leave them in direct light all day. Morning or after sun is fine. 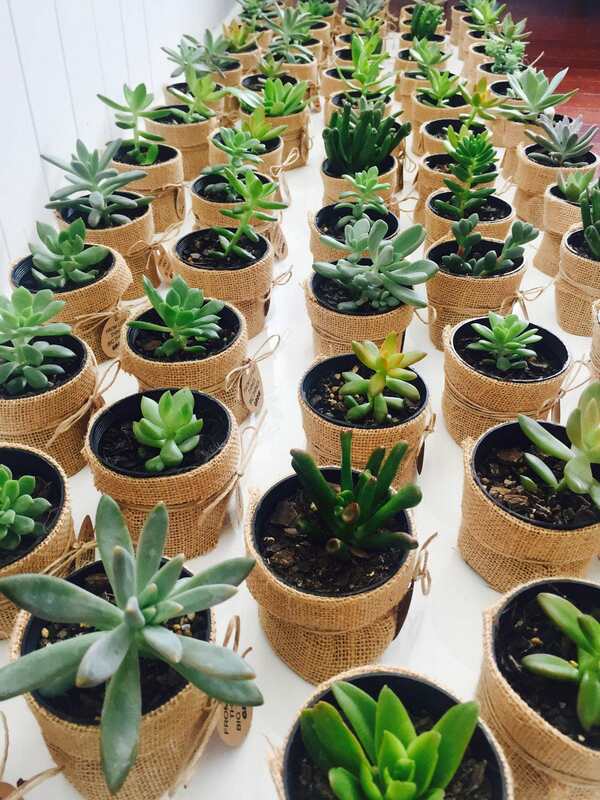 Plants: We will send a photo of the succulents before the order is made to ensure that you are happy with the plants we pick. If you do not like some we will simply change it for ones that you do like. Labels: We import professional printed labels however if you are after something a bit more personal we can print basic labels. This includes guests names, short messages etc. so please send through your ideas. Decorative Stones: For the ceramic pots we include decorative stones for all orders, we have a variety of colours available. Colours: If you are having a coloured themed party and want a particular coloured succulent we will work hard to make this happen however cannot guarantee this. 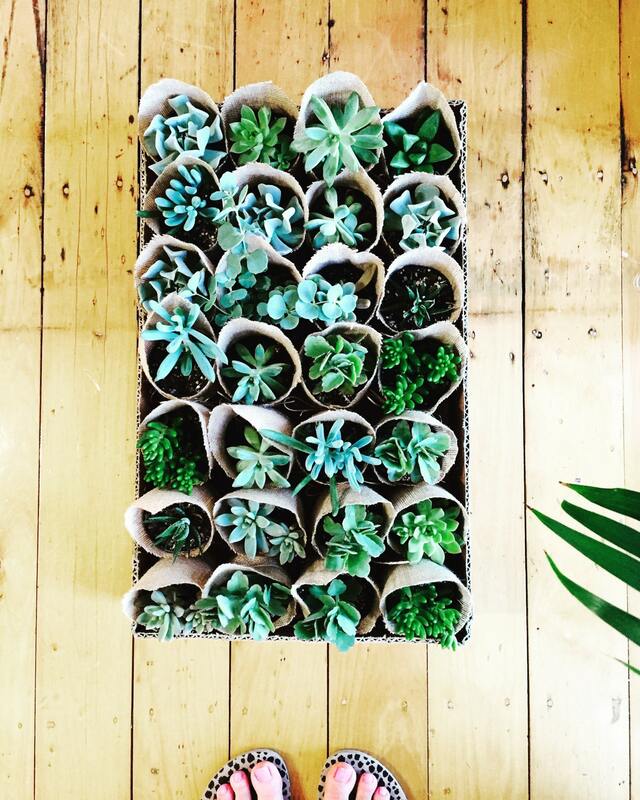 We will pack all succulent orders in boxes or crates so that they can be easily transported.